Tokai Forum - a subsidiary of TokaiRegistry.com :: View topic - Real Tokai???? Posted: Sun May 25, 2008 10:04 am Post subject: Real Tokai???? Check out the goldstar on ebay with the odd shaped headstock and sanded area around logo. He spells it Stratcaster and says it's an 1982. I am no expert but have never noticed any with a non fender shaped headstock. Fakai?? I think you should have another go at posting the link properly. Well it's not a 1982! Goldstars didn't appear till late 83, early 84. That one has - cheap tuners, cheap ceramic pickups, a cheap plastic switch, the later, modified headstock shape, a dodgy looking decal....... Need I go on? It's also 3 tone SB with a maple board, which looks wrong, but Tokai did mix up their 2 and 3 tone SBs. The body codes look right for Tokai though. And what has happened to the back of that neck? Avoid! Avoid! It's probably a ~1985/86 AST-40 Goldstar, I have one of those and it's a great guitar but not a 50's or 60's replica like the "50" and higher models. 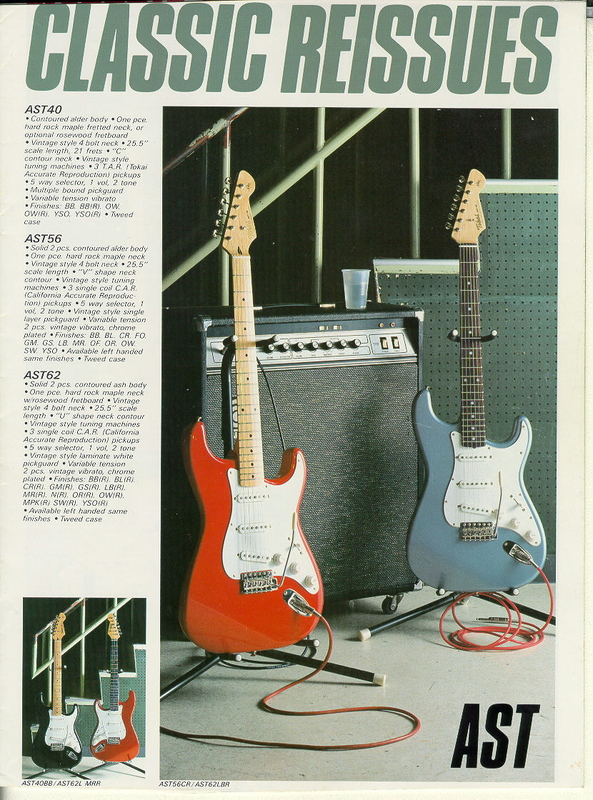 Both the maple neck and rosewood fingerboard versions had 11-screw 3-ply pickguards, a 70's style trem cast in one piece with cast saddles (probably replaced on that one) and Gotoh budget tuners. The pickups have ceramic magnets and steel poles. The switch does not look like the original one, it should be the same as on the other Goldstars. Looks legit to me. I have had a few of these.